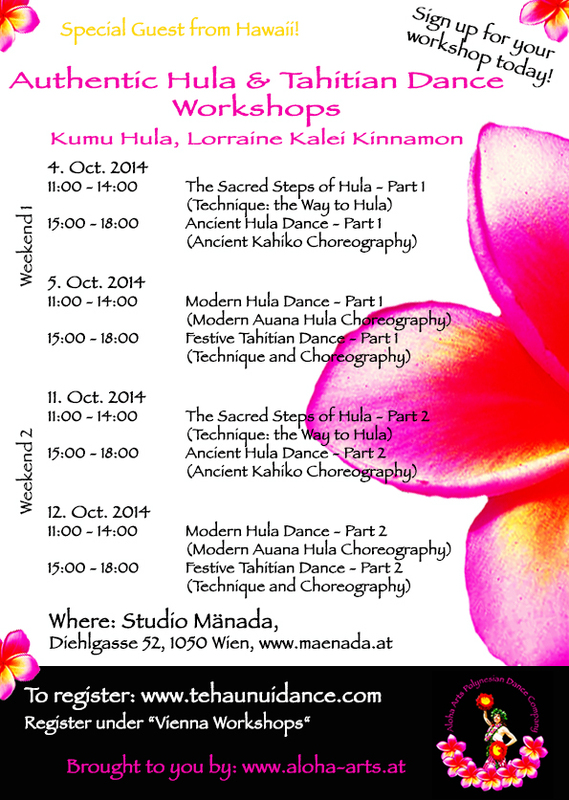 Welcome to our 4th Annual Wien Hula and Tahitian Workshop with TWO FULL WORKSHOPS being offered by Kumu Lorraine Kaleiokalaua’e Kinnamon this OCTOBER! 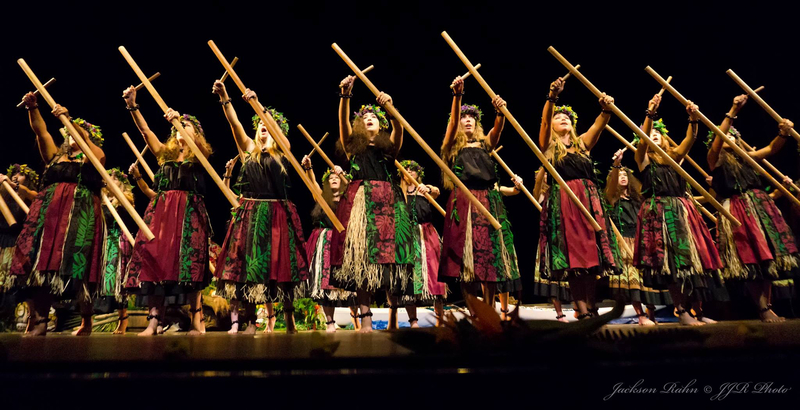 Lorraine has formally trained under her beloved teacher, world-reknowned hula master Loea Frank Kawaikapu Hewett and comes from the island of O’ahu in Hawai’i. 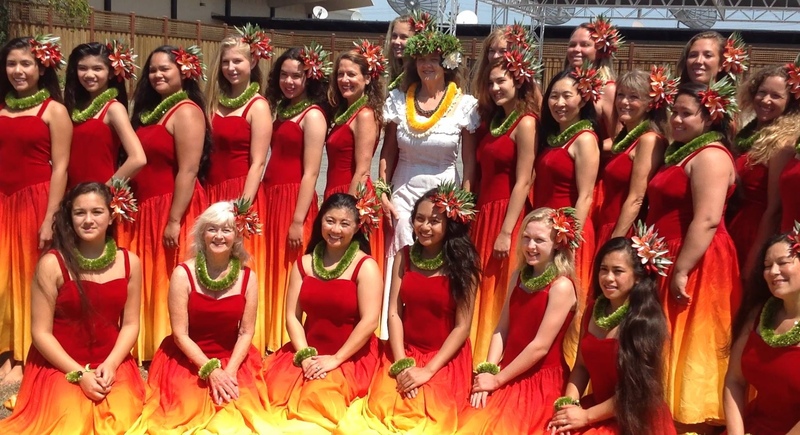 She has travelled the world performing and teaching the dances of Polynesia and is back to share her lifetime of study of the dance traditions of Hawai’i and Tahiti in Wien! 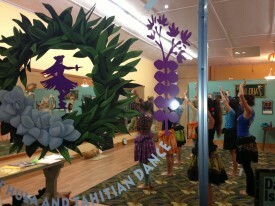 These workshops will focus on hula and tahitian technique as well as instruction on choreographed dances. 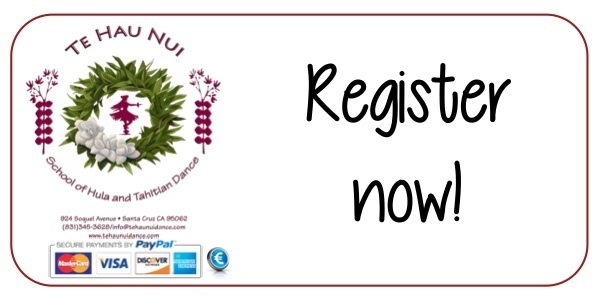 Dancers may take one or both weekend sessions and will learn different dances in each class (it is not necessary to register for Part 1 to register for Part 2). 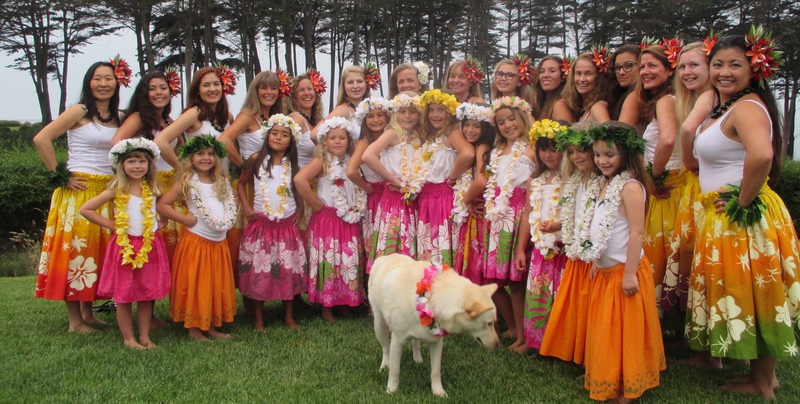 However, for hula registration, it is required to take “The Sacred Steps of Hula” in order to take an ancient or modern hula class. 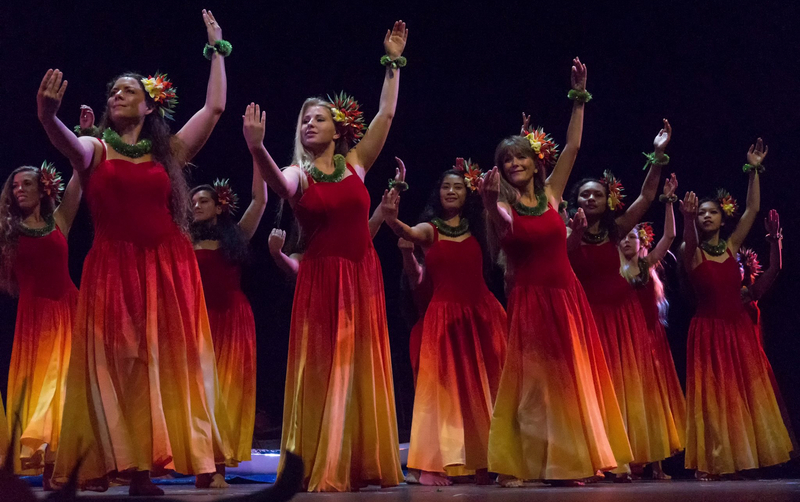 Please contact Stephanie Alana Smith with Aloha Arts at info@aloha-arts.at for any questions and we’ll look forward to seeing you there!